I was asked if I would like to hold a contest for UPRINTING.COM and I thought why not. So I am teaming with them to giveaway 250 die cut business cards! Let me just say my business cards are die cut and I don't think I could ever go back to the squared edges lol! I mean I just have rounded corners, but I think it adds so much more to the cards. 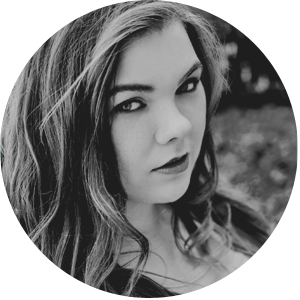 So I think this is an awesome time for you guys to update your business cards or get your first set. Now you guys don't have to be photographers to win this. I know there are tons of people who would need business cards and just don't know if they have the money to splurge on them. Why not try to win these and see if it's worth it for you then head back and order a few more? Another thing I decided I wanted to do for you guys is if you win the cards I will throw in a custom business card design for you if you would like it. Leave a comment down below saying why you would love to win these business cards. You can have a total of 3 enteries and after you complete them all just come back and post a comment saying what you have done with a link to your profiles. Please leave a seperate comment for each thing. Contest Starts today July 11, 2011 at 11:30pm and will end next week July 18, 2011 at ll:30pm. 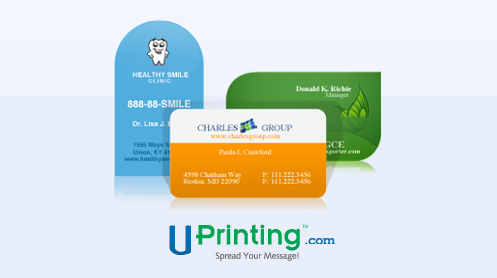 This business card printing giveaway is sponsored by UPrinting, no monetary compensation was given for hosting. For more information about online printing services, please visit UPrinting,com. I love these business cards and REALLY want them! I would love to win a set because I am trying to build my business and these awesome cards would help me get my name out there! thank you! I would love to win these for my fatherinlaw who just started his church! I'm sure he would love to win these also!!!! Hey Bridget, I would LOVE to win these cards. I am almost out and love the idea of die cut cards. Thanks for the chance.